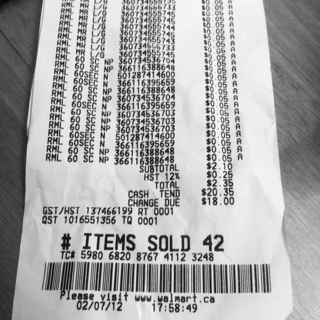 After seeing another post today on the SmartCaucks.ca forum I had to go back to Walmart. This time the post was about some 5 cent Rimmel clearance prices that they saw today. Walmart is on my way home from work so it isn’t much of a pain to run in (just can be a waste of time). Anyway, today I hit the motherload! I found Rimmel Moisture Renew Lip Gloss and Rimmel 60 Seconds Nail Polish for 5 cents! Our store still had them priced at $2.00 so there were lots left. When I asked the girl working in the beauty section to check the price she informed me she was just getting ready to sticker them at 5 cents!! When I came home, I saw the poster on the forum found 5 cent lip stick as well. Tempted to go back and check but I did pretty good already I think. A lot of this is for a friend – she is going to make Valentine’s goodie bags for her Sparkies next week. Got a few lip glosses for a couple girlfriends and I too. I have used this Rimmel nail polish before – it is actually really nice and goes on nice too. Wicked deal for $0.05. I opened up a lip gloss and tried it out, not bad. Not sticky and goes on pretty nice. It is similar to most other drugstore lip glosses. I suggest everyone check their Walmarts! Look for the polishes, glosses AND lip sticks. Still thinking about going and checking the lip sticks – haha – must stay away from Walmart! I would think the lady would of told me if they were 5 cents too if that was the case because she was nice and pointed out the nail polish. This entry was posted in clearance, makeup, walmart and tagged clearance, makeup, walmart on February 7, 2012 by Courtnie.